BiXBiT Miner is a compact, scalable mobile miner based on immersion cooling system and equipped with fire-extinguisher and access control systems. The miner’s construction provides possibility of full and partial smart heat utilization. BiXBiT miner is the most comprehensive solution for those who are willing to buy equipment for mining. Innovate cooling method where computing equipment is placed into immersive liquid with a further process of direct and efficient transfer of generated by the equipment heat to the immersion liquid. This type of cooling provides optimal conditions, since the operating temperature of the equipment is maintained in the required range, thermostated, and due to full immersion, heat is uniformly diverted from all elements. Immersion cooling protects the equipment from such external negative influences as noise, dust, insects. You can order immersion liquid ‘COOLANT’ by contacting our managers. GeliOS is a custom-developed centralized system of controlling and monitoring. The software part installed on the administrative computer and consists of data storage system containing OS images, user interface (SUN), monitoring system (MERCURY), telemetry acquisition and processing system (THERA), and executive applications (MOON). The key feature of GeliOS is that GPU-based installations do not require a hard disk to work with. The setup is made on the local network with a pre-arranged OS image. GeliOS eliminates the need for manual configuration. To make it real, the operating system is loaded to inventorize and group the equipment, afterwards the firmware is updated. The system reports on any configuration change. This algorithm makes the equipment reconfiguration a simple task, feasible at any convenient moment. Immersion cooling system made possible to achieve high density of the equipment placement, which is 2-3 times higher than in case of air-cooling use. Vertical design of the rack allows you to rationally accommodate more equipment. Each rack can be additionally equipped with a cooling tower, which provides cooling for the rack’s external circuit in case of none or partial smart heat utilization. Industrial production provides mechanical strength and rigidity of the construction, which protects the equipment during transportation. 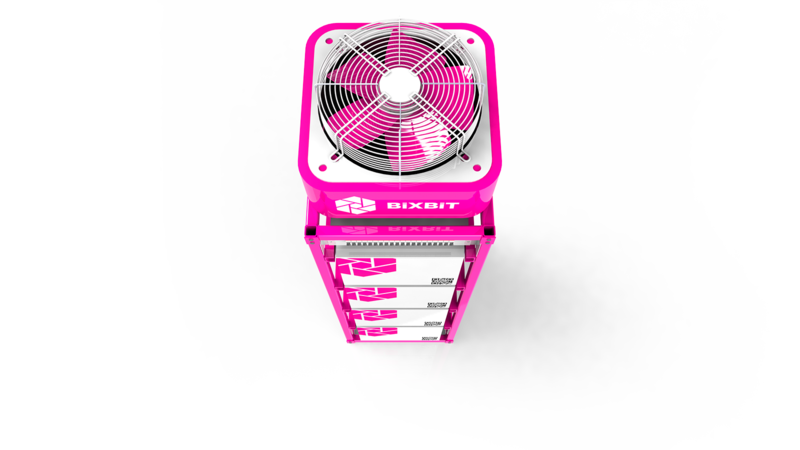 BiXBiT implementation of immersion cooling allows to cut the expenditures on electricity and get stability for the computing equipment at high capacities. Additional profit drastically reduces the equipment payoff period. 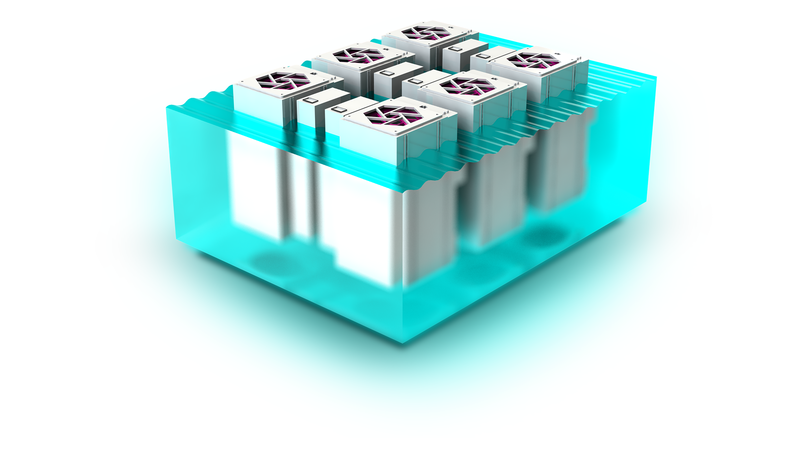 Modularity of the construction allows us to offer individual configuration (a readymade miner) which is compatible with client’s current hardware. Tell us the specifics of your current equipment and we will offer a solution!